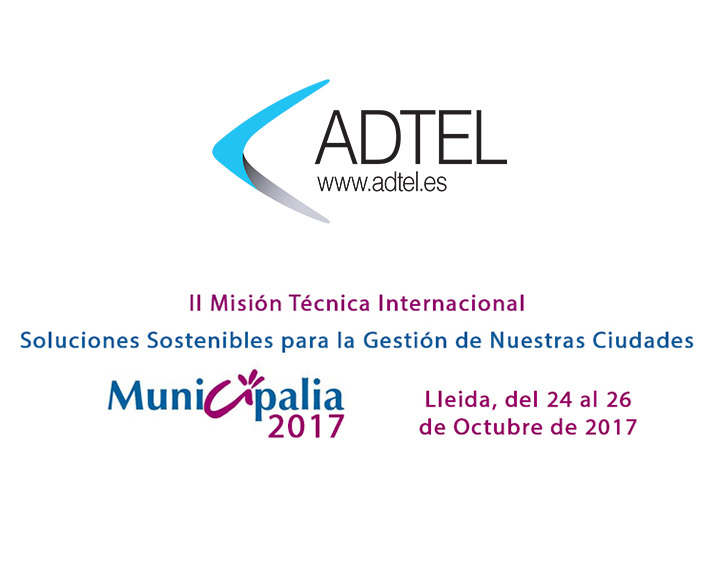 ADTEL participates again in the annual edition of the international fair of equipment and municipal services MUNICIPALIA, located in Lleida. The event is held on 24, 25 and 26 October of 2017. You can register as a professional visitor to have access to the fair during all the days of the contest.